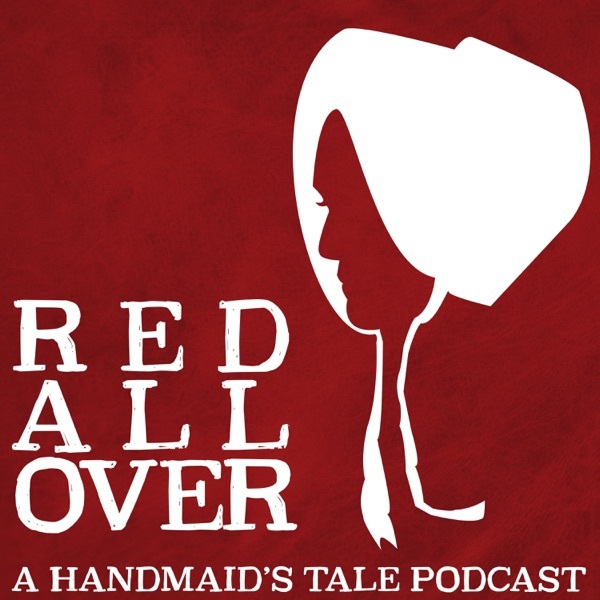 Kelly & Molly use their extremely limited French vocabularies to praise The Handmaid's Tale S2E9, a stunning return to form for the Hulu series. Whitford Watch and Fallgate/Jumpgate continue as they discover the #1 reason men should watch The Handmaid's Tale, applaud Dorothy Fortenberry's excellent writing, support Max Minghella at Nick's Battle of the Bands show, diss the Waterford's alternative lifestyle, ponder the effects of the Gilead Diet, visit Toronto's blue light district, break down the Flora/Fauna/Meriwether dynamic in Disney's Sleeping Beauty, and there's lots of pandering to Ruffahoes and hometown fans. It helps us so much when you recommend Red All Over to new listeners, subscribe/rate/review us on Apple Podcasts or your favorite podcatcher, and talk with us on Facebook--many thanks for being so dedicated this season!